French polls show the country’s president faces a tough battle for his re-election bid in April and May. 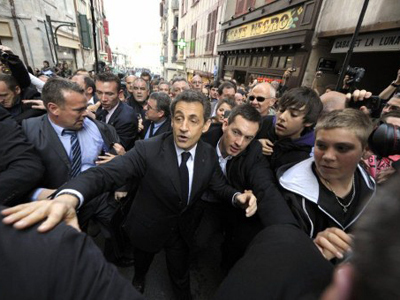 Accordingly, the election statements of Nicolas Sarkozy are tending to the extreme right. On Sunday he claimed he would pull France out of the visa-free zone in an effort to tackle the thorny issue of illegal immigration. 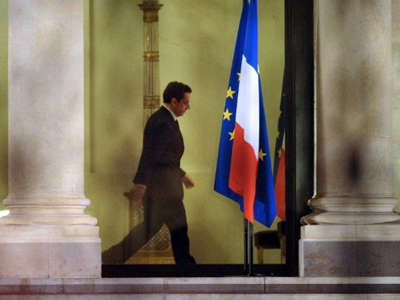 “In the coming 12 months, [if] there is no serious progress towards [reforming Schengen], France would then suspend its participation in the Schengen accords until negotiations conclude,” declared Sarkozy in his bid for five more years at the Elysee Palace. Sarkozy also called for penalties against those EU nations that do not monitor their borders properly, along the lines of sanctions that eurozone members can face if their state financing does not meet bloc-wide targets. With his pre-election rhetoric, President Sarkozy is clearly courting right wing voters, Alex Korbel, a spokesman for contrepoints.org, told RT. 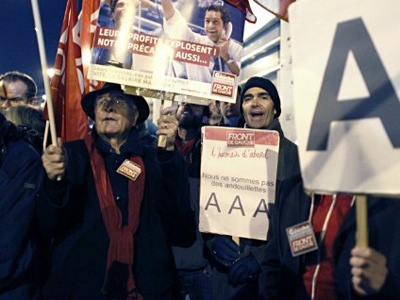 And when Sarkozy is ranting against free trade and immigration, he is really advocating for more protectionism, Korbel believes. In an effort to protect Europe and secure European products , the presidential hopeful went further, calling for the introduction of a Buy European Act, similar to the Buy American Act, based on a US measure to support small businesses and domestic industries. 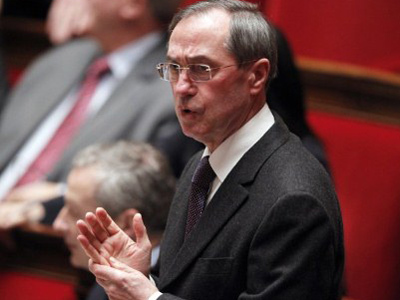 If the European Union did not do this within a year, he would, if re-elected, implement a unilateral Buy French law, he said. But his critics have accused him of fishing for support from voters in favor of the National Front, the anti-immigrant, anti-EU party led by Marine Le Pen. Pierre Guerlain, a professor of political science at Paris West University explained to RT that Nicolas Sarkozy decided to turn further right because he is far behind in the polls. “In 2007 he won the election because he siphoned off some of the vote that went to the far right. So he is campaigning on many topics which are the topics of pre-election of the far right,” he told RT. “But I don’t think he is really credible. The Far Right are quite powerful now. The people who voted for him five years ago are not going to vote for him this time, they are going to vote for the Far Right because they feel they were deceived during his five years because Sarkozy was not tough enough on immigration. It is an attempt to control the loss of votes, but he is not going to be very successful." “There is a crisis and the populist Right is using immigration as a card. It is just rhetoric in order to track the populist xenophobic vote. But the more he gains on the far right, the more he loses in the center,” Geurlain said. 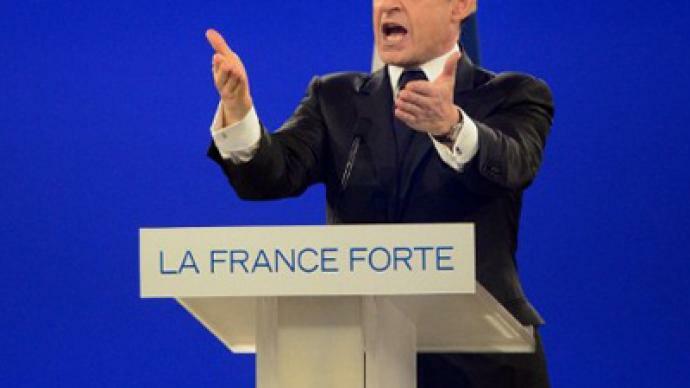 The most recent polls show that Sarkozy would lose to another presidential candidate, Socialist Francois Hollande, in the first round, with Marine Le Pen coming third. Hollande, who has enjoyed a clear lead for five months, would therefore end up with 56 per cent in the second round, with Sarkozy at 44 per cent, according to the poll.